Comment: Heavy. Bolivia has probably produced more tin than any other country in the world. 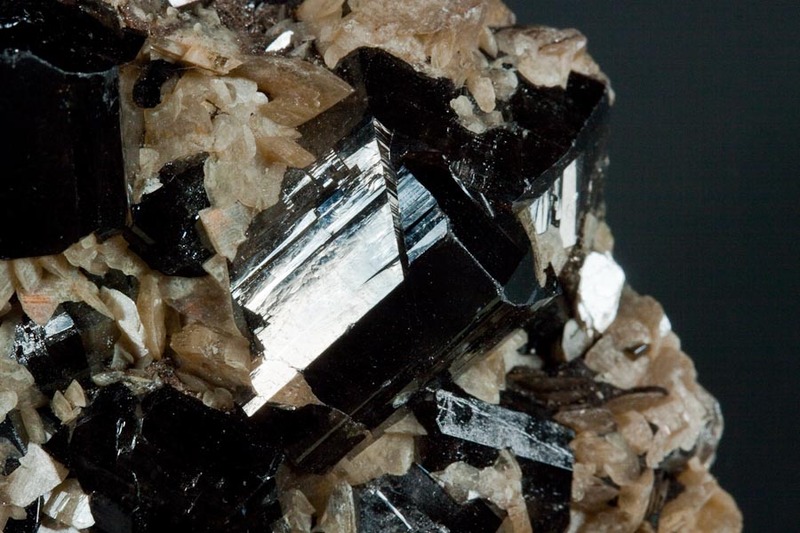 The great tin mines at Viloco (sometimes called Araca) have produced some of the most magnificent Cassiterite specimens extant. 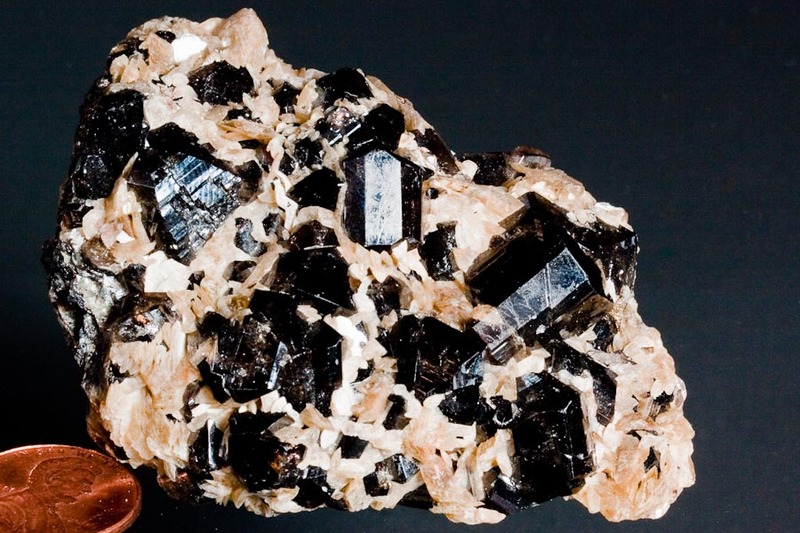 This particular specimen consists of several fine, sharp, highly lustrous, cyclic twinned crystals measuring up to 1.5 cm with light tan colored Siderite "discs". This is a very attractive piece and one of the better ones for quality, luster and crystal size that I've seen in recent years. The piece is in great shape, and most crystals are virtually damage free. It is a great display piece. This classic material from Viloco is simply not seen for sale in today''s market.